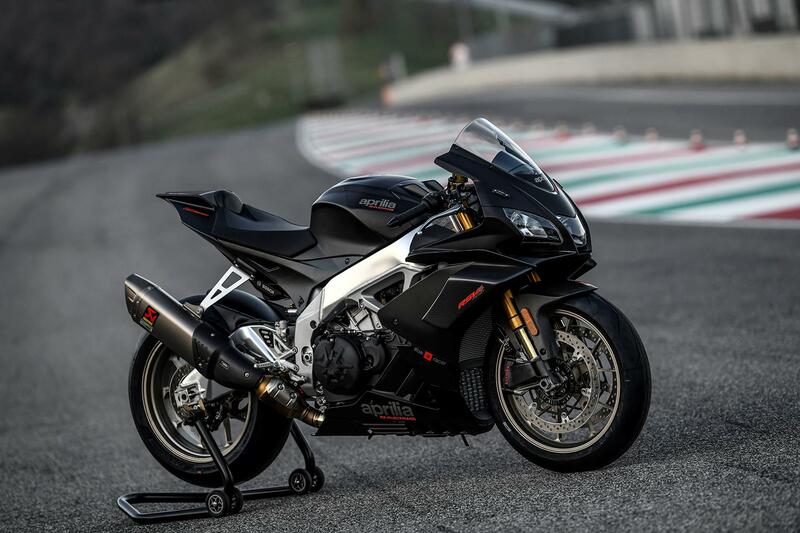 Aprilia have taken the V4 from the Tuono 1100, tuned the bejesus out of it and shoehorned it in an RSV4. It’s the marriage of one of the finest engines ever built and the sweetest chassis in perfect harmony. 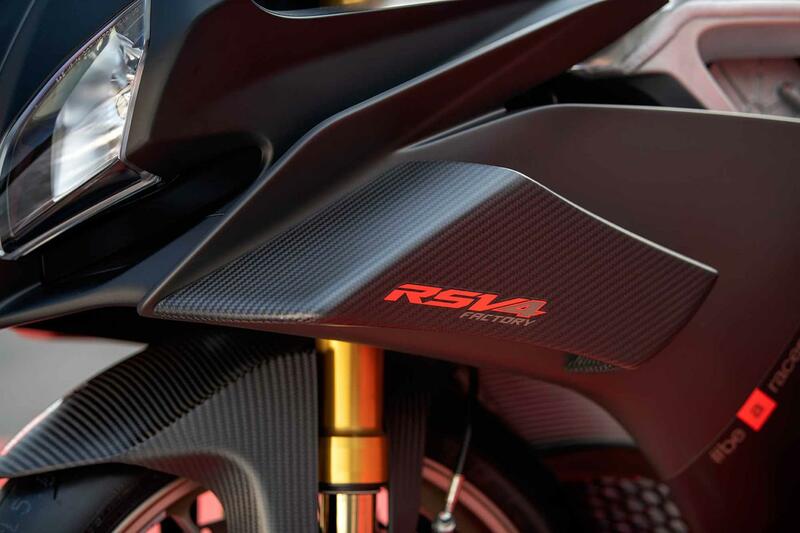 Lavishly equipped, the RSV4 1100 Factory is nothing short of sensational. It’s still tiny, which could put off bigger riders, but that silky, grunt-packed V4 motor is a thing of wonder. 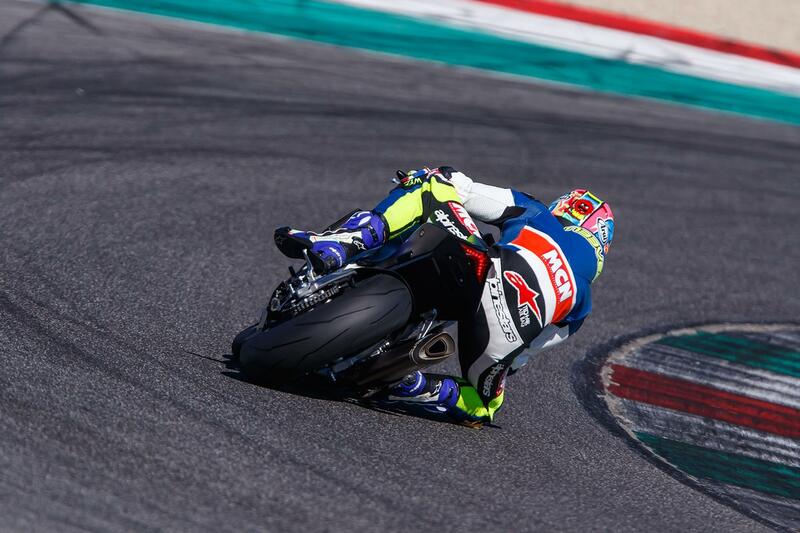 It elevates the already brilliant RSV4 into an effortlessly quick track bike, a fearsome open class racer and an even more impressive road bike. 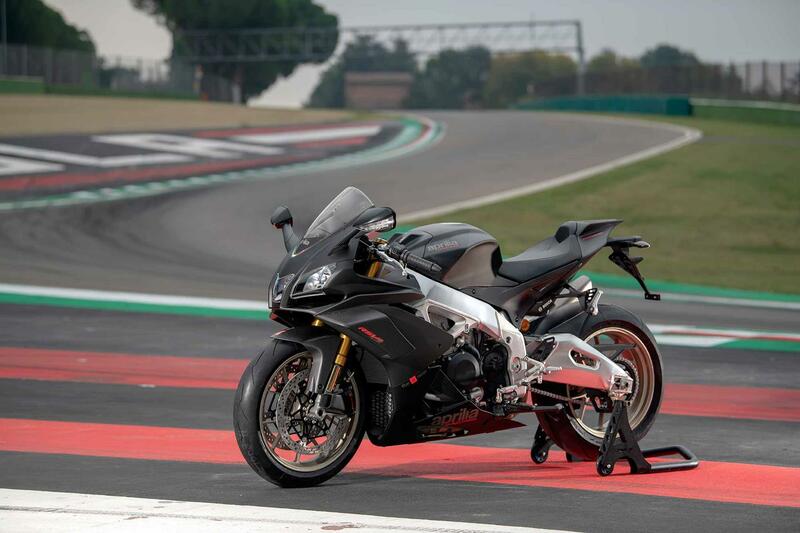 On track the 1100 Factory is nothing short of sensational with more accuracy, composure grip and ground clearance than you know what to do with. It gets better the harder you push, when somehow the limit edges further away giving you a feeling of total invincibility. 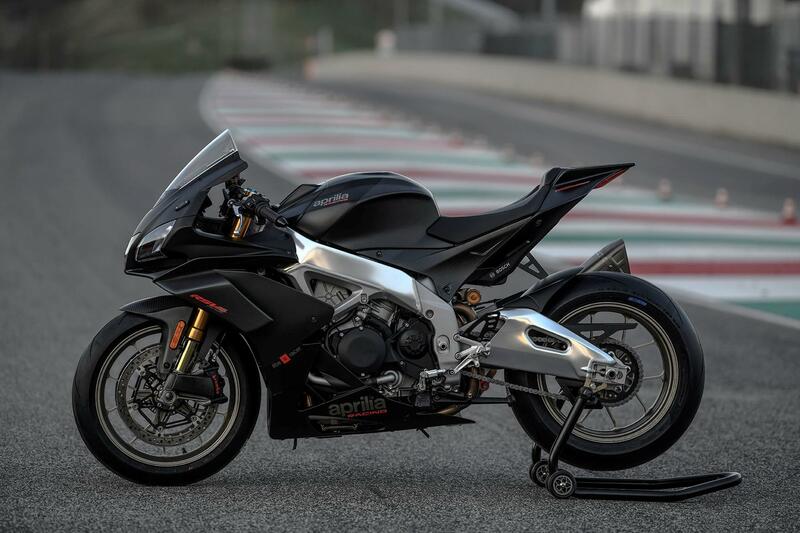 Quicker steering geometry aside, the adjustable ali frame is the same as before (with added sound deadening), but the swingarm is braced internally for more stiffness under hard acceleration and the Öhlins NIX forks have 5mm more travel. 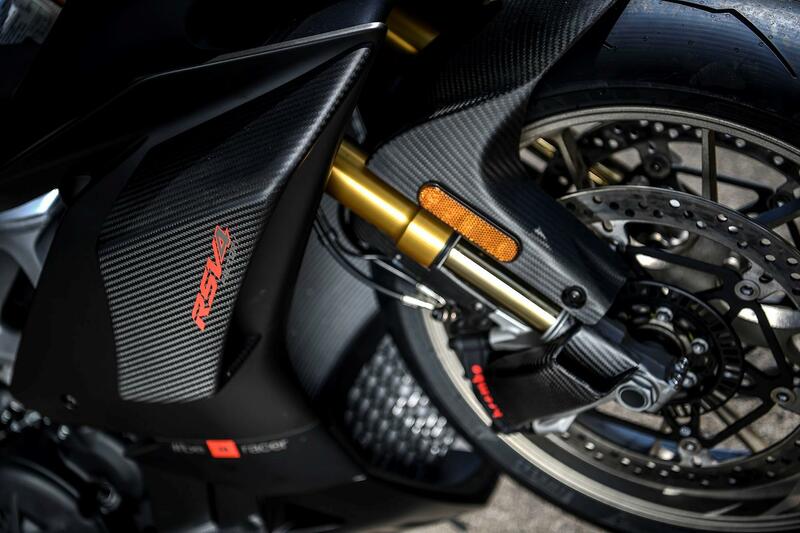 A new lithium battery and titanium Akrapovic can saves 5kg. 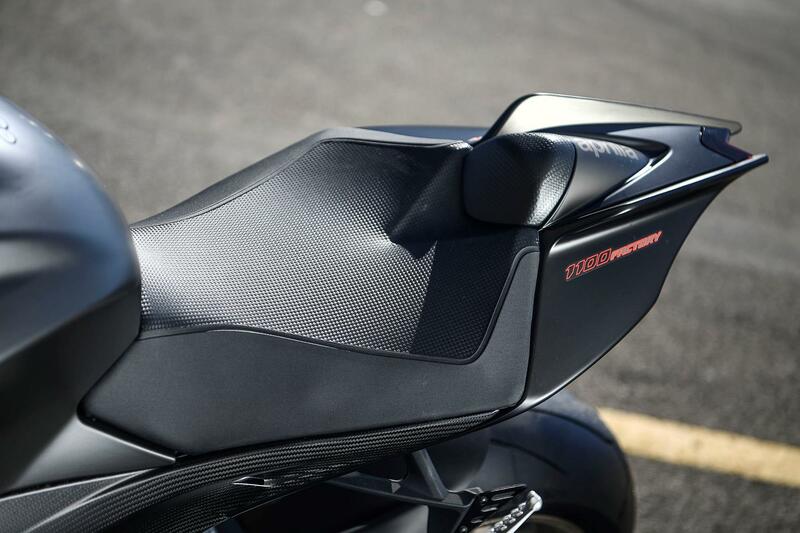 Available as part of the 2018 RSV4 FW (Factory Works) Kit, carbon fibre winglets are now standard. Generating 8kg of vertical downforce at 186mph they prevent front wheel lift at very high speed and add stability to the start of fast braking zones. 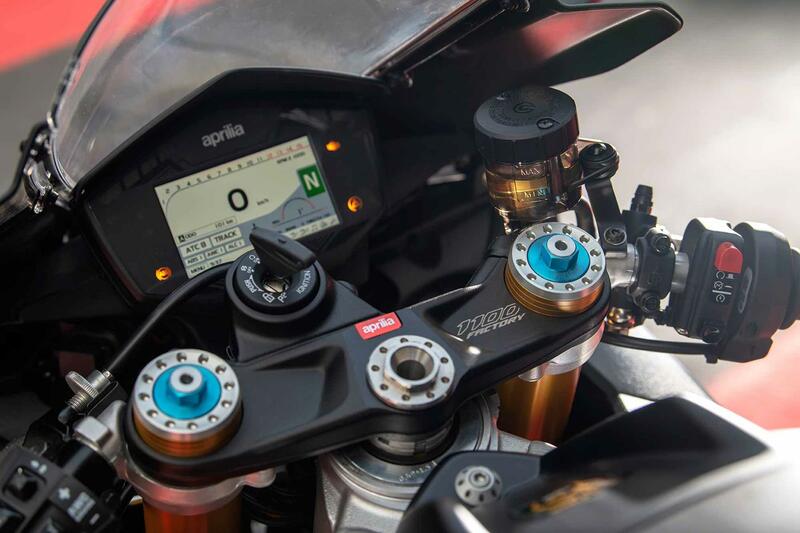 Accessory carbon brake scoops direct cooling air at new lighter, smaller Stylema Brembo calipers (first seen exclusively on the 2018 Ducati Panigale V4), helping them run 20% cooler with 5mm less lever travel. Braking power, feel and overall stability when you hit the lever hard takes your breath away. 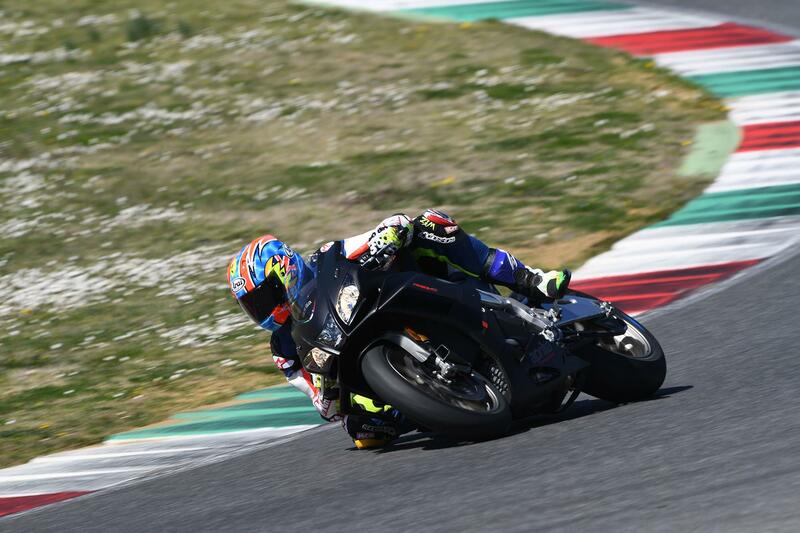 Rider aids were first seen on the RSV4 way back in 2011 and they’ve been steadily refined into some of the best money can buy. Adjustable traction, wheelie and engine braking control have all been tweaked to suit the 1100’s character. Traction control can be adjusted on the move and can be as intrusive as you want and you also get three riding modes, cruise control and a brighter TFT dash. 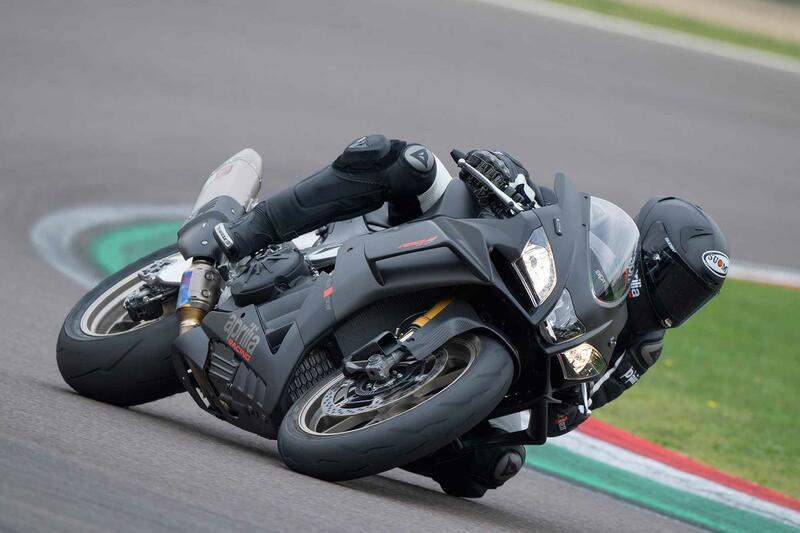 The up/down quickshifter is particularly slick and having the electronics smoothly pin the front wheel down under ferocious acceleration saves effort on a fast lap. 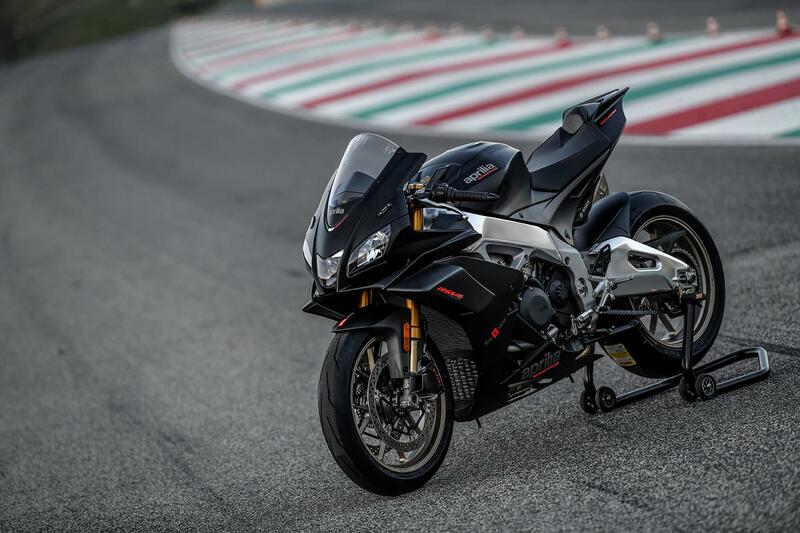 Aprilia has taken its sumptuous, big-bore 1078cc Tuono motor and laced it with more power and revs. New high compression pistons with extra oil cooling jets, revised mapping and lary inlet cams add a whopping 41bhp. 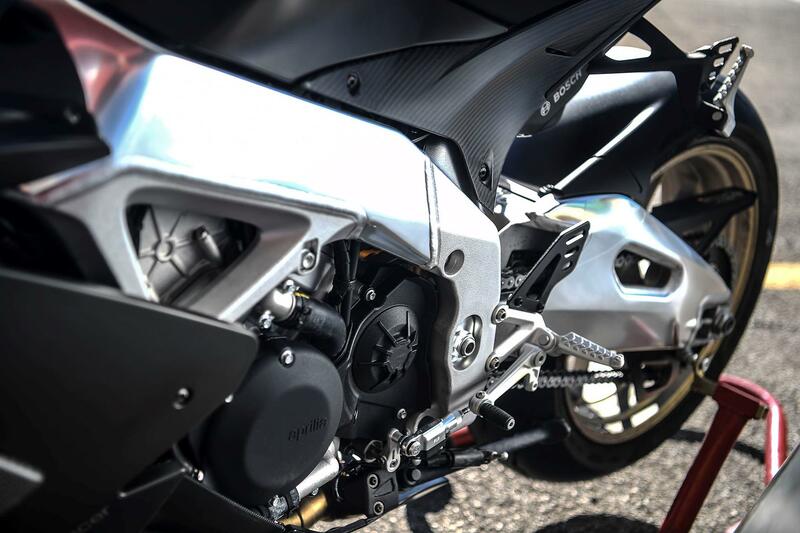 It’s 6bhp up on the RSV4 '1000', has 5ftlb more torque and is 10% gruntier across the rev range. 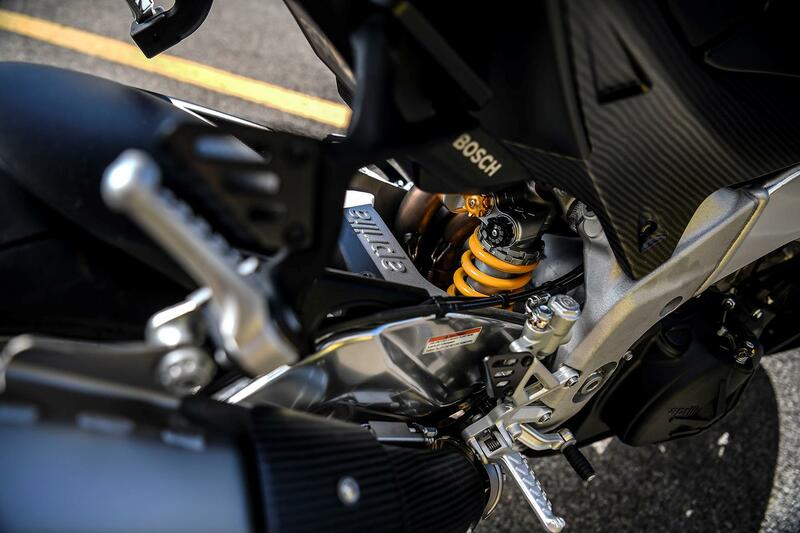 Now the power delivery is more fluid, elastic and delivers acceleration like an iron fist in a velvet glove, like the bonkers Tuono on steroids, but with an even more tortured, wailing V4 soundtrack. 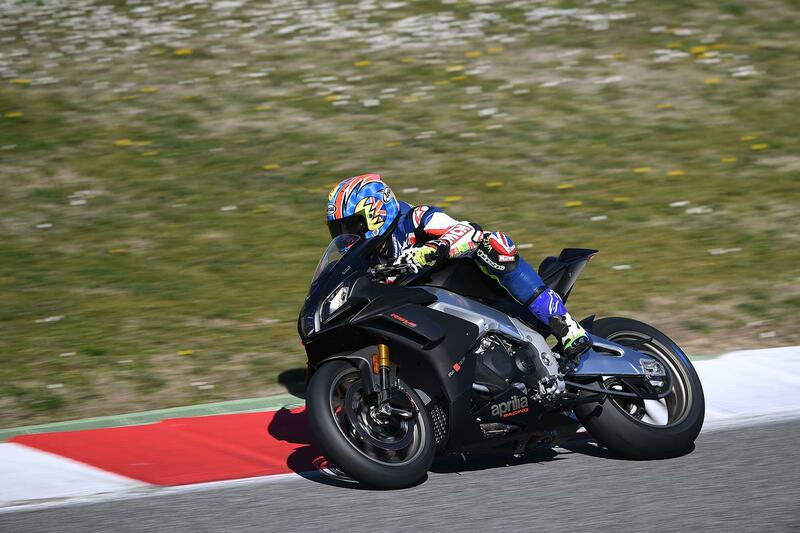 Never before has an RSV4 felt this capable on track, but that extra grunt will transform the RSV4 for the road, too. 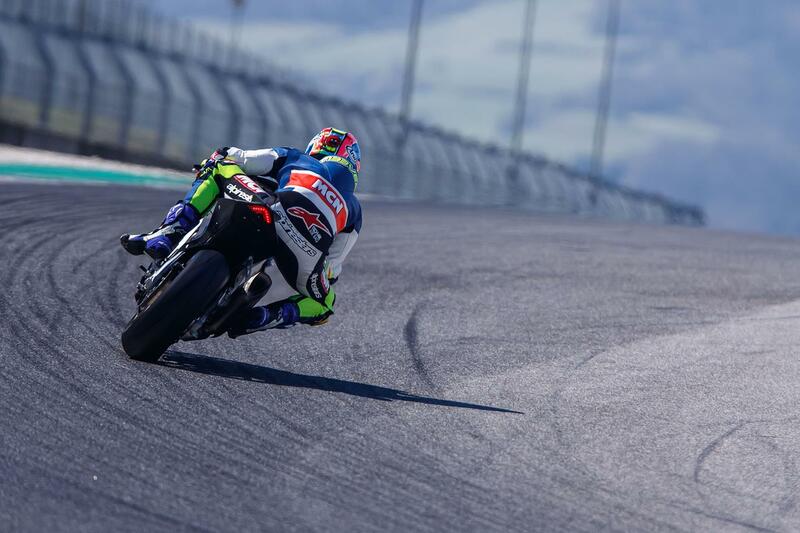 There’s no question Aprilia make some of the best sports and super naked bikes in the world, but they have a blind spot when it comes to service and the way they’re perceived by customers. Fortunately our online Owners’ Reviews don’t reveal too many horror stories, but the odd Friday afternoon bike still slips through the net. It might be eye-wateringly expensive, but you get a lot of engine, exquisite chassis, cutting edge electronics and designer labels for you money. 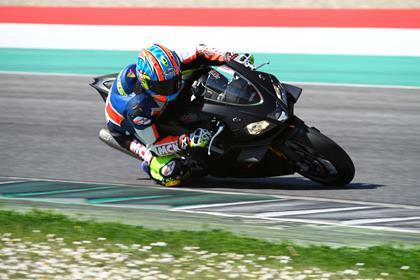 Compared to its nearest rival: Ducati’s Panigale V4 S, the Aprilia is a few grand cheaper, but it’s still pricey. 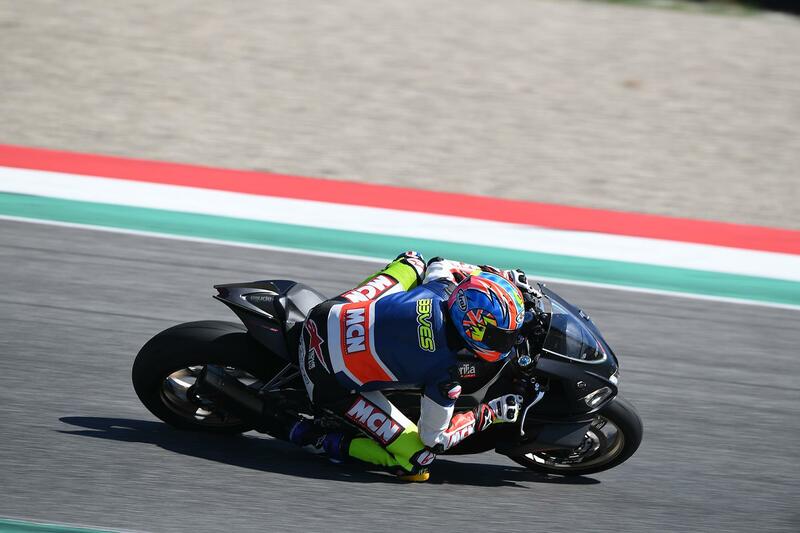 Some may be disappointed that Aprilia have stuck with its 10-year-old design and things like LED lights wouldn’t go amiss on such an expensive machine, but the RSV4 1100 Factory comes with Öhlins, Brembo, Pirelli, Akrapovic, carbon wings/side panels/front mudguard/exhaust cover and all the electronic trinkets you’ll ever need. You can have any colour as long as it’s 'Atomico 6' black (carbon is atomic number six in the periodical table) with classy titanium coloured forged aluminium wheels. 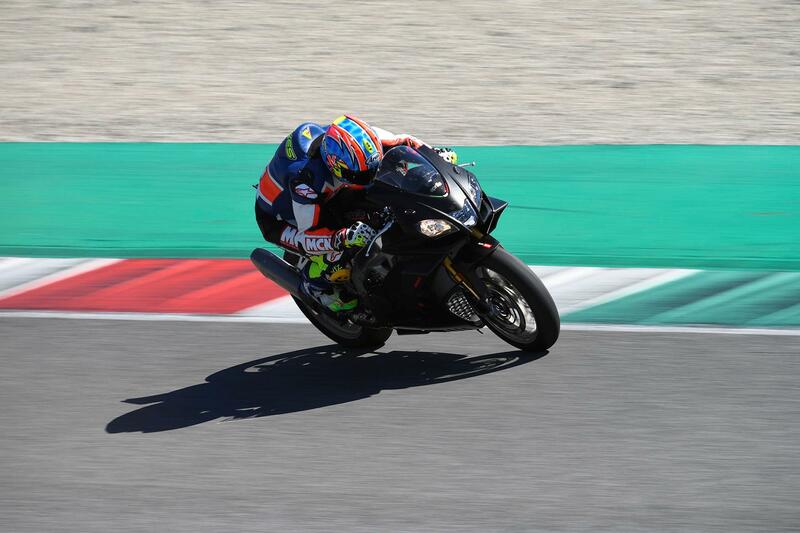 2019: Aprilia RSV4 1100 Factory replaces the RSV4 Factory in its line up. 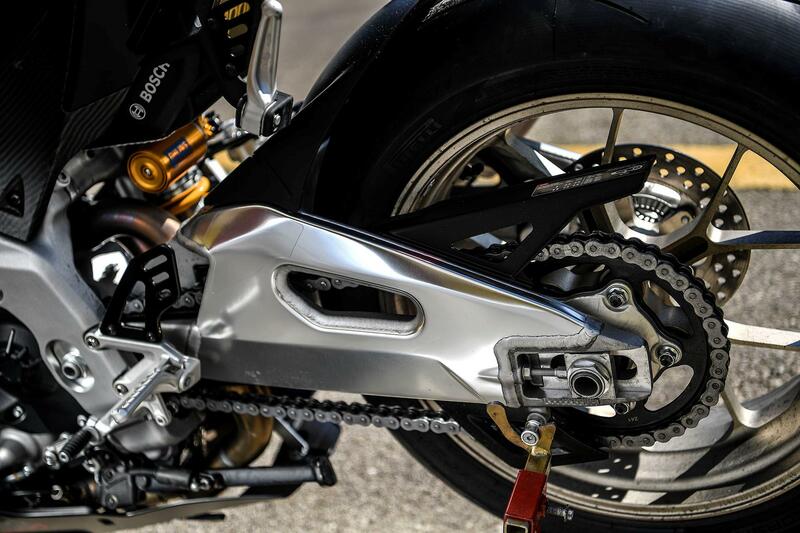 A tuned Tuono motor slotted in an RSV4 chassis, it also comes with winglets, 5mm longer-travel Ohlins forks with revised settings, faster steering geometry, a stiffer swingarm, Stylema Brembos, Akrapovic titanium end can, lithium batter, new electronics settings and a brighter colour dash. Brake scoops available as an accessory. 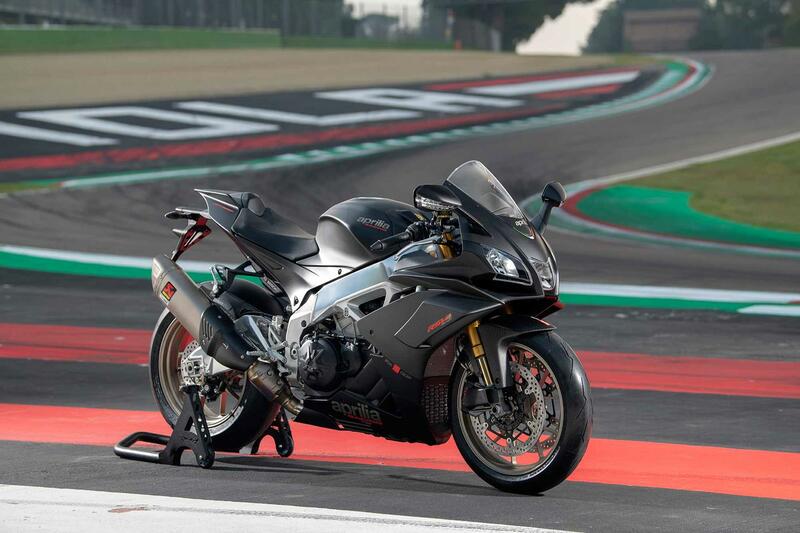 Aprilia RSV4 RR – Cheaper, lower chassis spec version with 999.6cc V4 motor and full electronics. 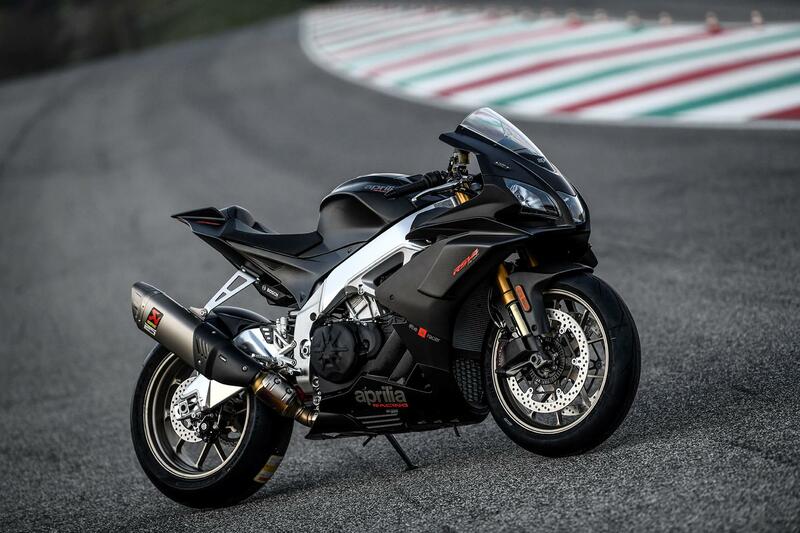 No owners have yet reviewed the APRILIA RSV4 1100 FACTORY (2019-on).